La Marquesa Golf and Country Club is located in the town of Rojales, some 40 kilometres from Alicante, close to the A37 and the N-332. 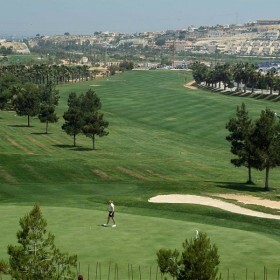 It is situated in a flat valley between the Quesada mountains, and the layout of the round alternates between long holes and short ones. 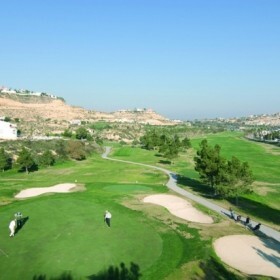 The varied and pleasant round is lined with pines and palm trees. A wonderful location offering a very pleasant temperature both in summer and in winter. La Marquesa is not excessively difficult, so players of all levels will enjoy it. 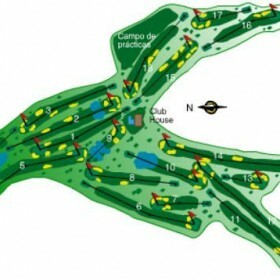 The greatest difficulty lies in the characteristic layout of the greens, with their attractive and complicated slopes. The round is bordered by streams and lakes, which gives the course excellent views and provides beautiful natural surroundings to play in. The better players might find La Marquesa a bit too easy, but the majority will find it very pleasant and will enjoy the excellent walk in a magnificent part of the country. A very popular course with the local Quesada societies so booking is a must.